New Delhi/Bengaluru: A day after the government approved foreign direct investment (FDI) with riders in online marketplaces, law experts said many e-commerce companies will have to rework their already complex corporate structures, adding that there was little clarity on the impact of new laws on Internet companies. The government on Tuesday allowed 100% FDI in online retail of goods and services under the so-called marketplace model through the automatic route, which would legitimize existing businesses of e-commerce companies operating in India. Under the inventory model, the e-commerce firm buys, stocks and sells goods, while in the marketplace model, it simply acts as a platform connecting buyers and sellers. At least three conditions attached to the government’s approval, however, could either hurt e-commerce companies or force them to find new ways to get around them. One, no group company or seller on a marketplace can contribute more than 25% of the sales generated. Two, marketplaces cannot influence product prices. Three, small sellers will now have to take responsibility of quality of goods and after sales support. The biggest blow would be for those who deploy a mix of inventory and marketplace. These companies may be forced to restructure their businesses to abide by the law. Fashion retailers such as Myntra and Jabong are moving to a marketplace model but currently depend on one seller for most sales. While Myntra gets over 90% of its sales from Vector e-commerce, Jabong’s sales largely depend on Xerion Retail. 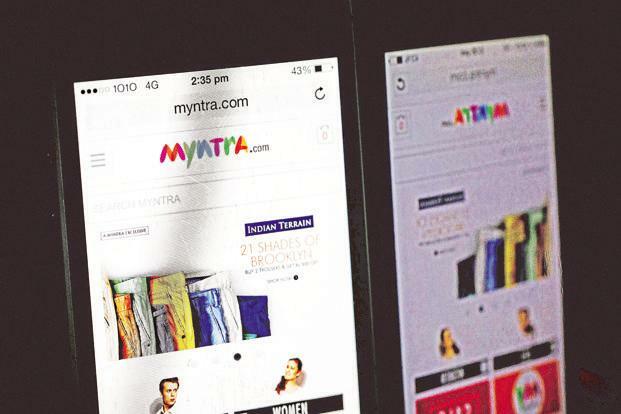 Myntra and Jabong did not respond to Mint’s queries. Several lawyers and industry experts point out that the companies which till now have been swinging between a marketplace and inventory led business will have to take a clear stance soon. “The new law is effective since yesterday and hardly gives breathing time to companies to implement the changes. However, if these companies continue to operate under ambiguity, they can be severely penalized by the government,” said Akash Gupt, partner and leader regulatory at PwC India. While e-commerce giants such as Flipkart and Amazon will have to find new sellers to reduce dependence on large sellers, marketplaces such as furniture retailers Fabfurnish and Pepperfry will have to comply with the law by clearly providing seller name and details. “The new regulations leave less room for firms to flout law through alternate structures. The clear definition of e-commerce marketplace, inventory led business and the 25% sale norm will stop companies from disguising their businesses under marketplace model while they are doing inventory led business,” said Angshuman Bhattacharya, managing director at Alvarez & Marsal India, a consultancy firm. Several e-commerce companies started operations with inventory-led models. However, since FDI wasn’t allowed in direct online retail, these companies had to be restructured to accommodate foreign money. Most companies moved to a two-layered structure with a wholesale trading arm that got all the foreign capital and an independent customer-facing entity that ran the online platform and sold to the customer directly. Flipkart followed a similar complex structure until 2013 (Read here ), when it started moving to a marketplace model. While the regulations around the wholesale trading and B2C e-commerce model have remained unchanged, companies find little or no value in this model and prefer to run a marketplace. “If the foreign investment is being made in the B2B entity with the e-commerce platform being run by a separate front-end entity, the value must be captured in the wholesale entity. The advantage of the marketplace model is that the value of the business could be shifted to the platform entity,” said Rahul Matthan, partner, Trilegal. The third condition is the ban on influencing product prices, among other riders for approving FDI in e-commerce marketplaces. “E-commerce entities providing marketplace will not directly or indirectly influence the sale price of goods or services and shall maintain level playing field,” the Department of Industrial Policy and Promotion (DIPP) said in a note on Tuesday. However, it’s difficult to say how the new rules will be implemented and to what extent these will be followed. The end of discounting, if it happens, would significantly hurt the high valuations of India’s top e-commerce firms— Flipkart ($15 billion), Snapdeal ($6.5 billion) and Paytm (more than $3 billion)—as well as the rapid sales growth of Amazon India. Online retail grew rapidly to $14 billion last year from $1 billion in 2012 fuelled by venture capital investors, who pumped in more than $9 billion over the past two years alone. A huge chunk of this money has been spent on luring customers through advertising and, more importantly, discounts. Many experts, however, said companies will find new ways to fund discounts though no one had clarity on the specifics.